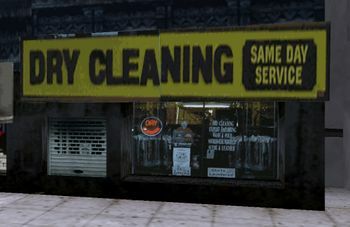 Dry Cleaning is a dry cleaning business in both Liberty City (in 1998 and 2001), in San Andreas (in 1992) and in Vice City in 1986. The store appears in Grand Theft Auto III, Grand Theft Auto: San Andreas and Grand Theft Auto: Liberty City Stories. This page was last modified on 11 March 2017, at 14:48.